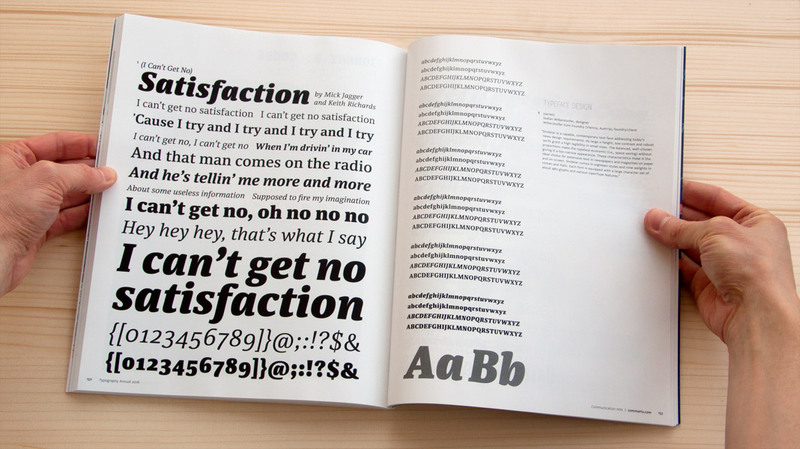 In case you have not seen it yet: That’s what Sindelar looks like in the Communication Arts Typography Annual 6. Sindelar is presented as a winner of Communication Arts’ Typography Competition 2016. Not only on the double page spread but even on the annual’s cover representing T, Y, A, N, and L.
Various impressions of the Communication Arts Typography Annual 6. Communication Arts has been publishing annuals showing the best in visual communications from around the world since 1959. But still 2011 marks a change. It is the first time – and certainly the beginning of a long tradition – of publishing a distinct annual specifically focused on typography. 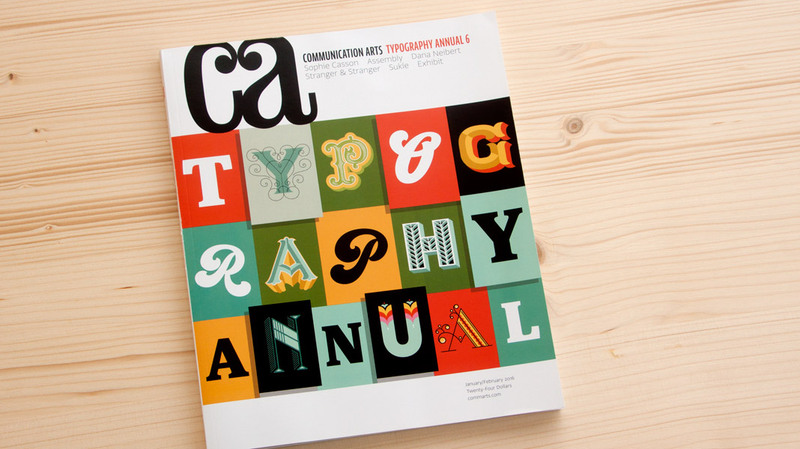 The Communication Arts Typography Annual 1 presents the best work in various typographic categories such as books, periodicals, identity, packaging, and typeface design. It is a brilliant achievement that Acorde was among the first typefaces receiving the Communication Arts Award of Excellence in this category. 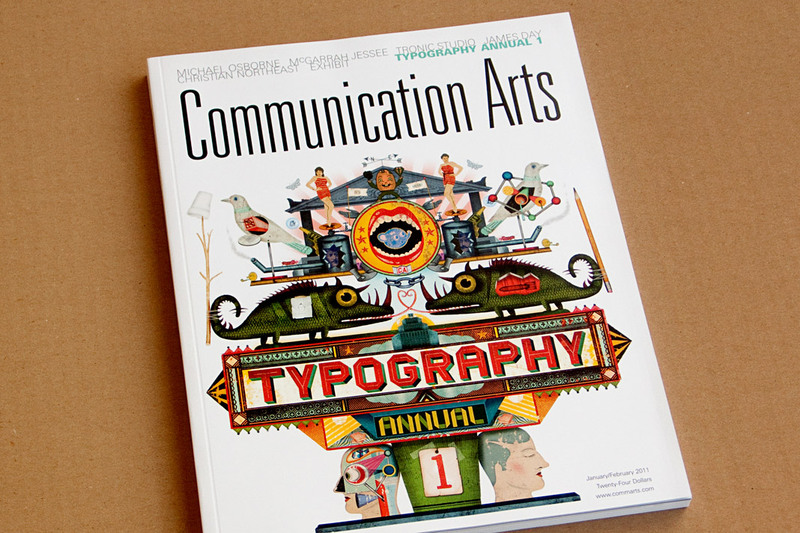 The first Communication Arts Typography Annual.